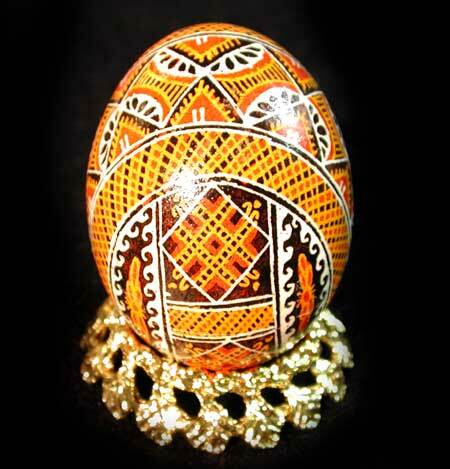 A beautiful circular ring of leaves line the base of this metal Pysanky egg stand. 1-7/8 inch width x 1/2 inch tall with 1-1/4 inch diameter ring. Gold Tone Metal for Chicken or Duck eggs . Made in China. Pysanka not included. We highly recommend using Tacky Wax to secure the egg in the stand.